Have yourself a frugal little Christmas and make your wallet smile! It is never too early or late to talk about Christmas. Planning your Christmas is just as important as planning your weekly menu. The more planning you put into it the more you can save. Having a frugal Christmas doesn't mean being cheap it means being wise with your spending choices. It is possible to have a frugal Christmas and also have tons of fun! Trust me we do it at our house and fun is something we definitely do have. The pressure from retailers and our children and family members can be overwhelming, to say the least. Everywhere we look there are sparkling lights and decorations galore. Even grocery stores become a treasure chest full of offers and sparkling wrapping paper and chocolates. The problem is that if you really take a look at the offers they are not really bargains or good deals at all. The buy one get one, 1/2 price sale is only good if you need two of the same item otherwise you are draining your purse on something that is not needed. These offers are great if you have a large family but if you don't it isn't really a good deal. My best advice to stick to your frugal Christmas is to stick to your budget. 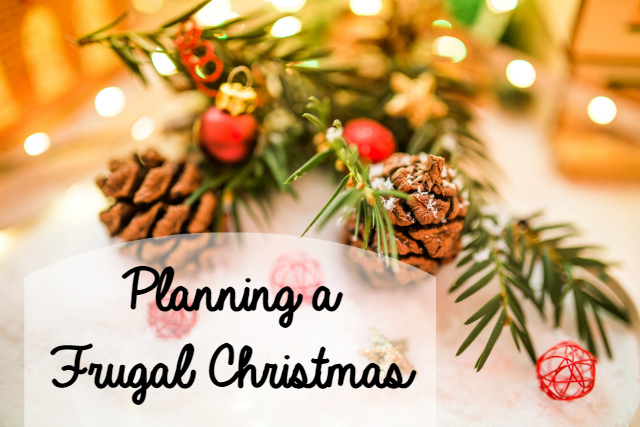 Also, a frugal Christmas can be fun because it takes away the taxing shopping away and puts a little creativity back into your life. The most economical is an artificial tree but I know some people love buying and cutting their down their tree every year. 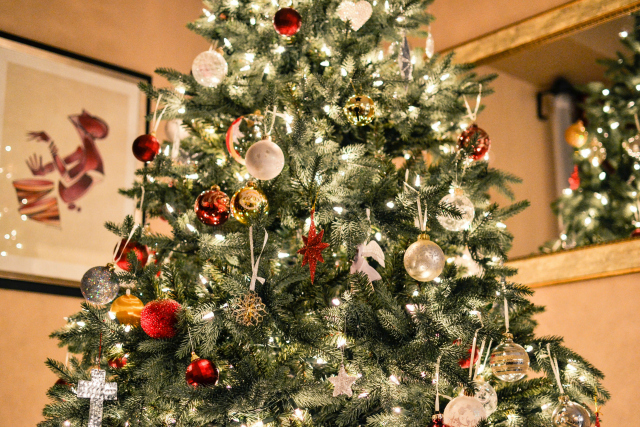 For us, we use an artificial tree mainly due to allergies. Yep, I am allergic to Christmas trees, talk about humbug! So many thrift stores sell Christmas decorations and you can find some real treasures this way. Also if you have small children there is no greater joy then seeing their faces light up when they have made some Christmas decorations and you have proudly displayed them on the Christmas tree. Let's face it even if you don't have small children we all love to colour and what is more fun then spending time together colouring to ornaments for your Christmas tree. Talk a walk through a forest and grab some pinecones and either dry them out and use them or spray paint them various colours to makes your decor. Add a little glitter to them to help them sparkle up any decor. A favourite ornament among children is dough ornaments or even cinnamon dough ornaments. As a matter of fact this year we were unpacking our Christmas decorations and we found two cinnamon dough ornaments that were over 20 years old and both still smell wonderful and are in great shape. For any candles, you use just use plain ones and add a ribbon it really adds a finishing touch. And here is my placemat idea for Christmas. A few years ago I hosted a table at the church where we decorate for the adult Christmas banquet and I didn't have anything that matched so I went out and wrapping paper was on sale at Zellers and I am always on a budget. So I purchased some wrapping paper for $2 and that did 8 placemats for my table and it matched so nicely. I will hunt up the pictures I have of it. One of my favourite things to do is to go to the local paper and buy the end of roll newsprint. They sell them really cheap. 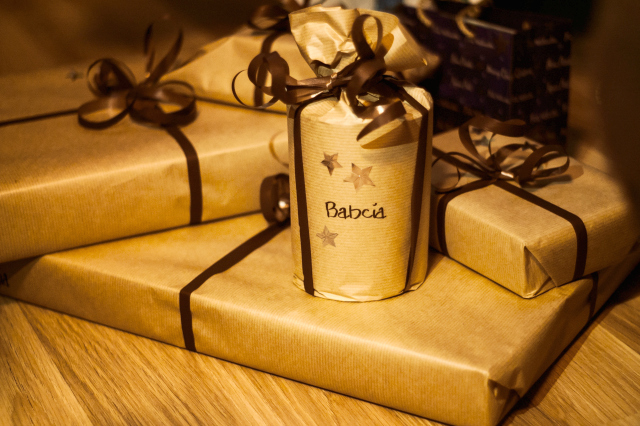 I use it as wrapping paper with some red and green yarn instead of ribbon. If newsprint is left over I just use it for my kids to draw on afterward. Or if you want to have even more fun get out the pants and stamps and let your children decorate the paper for you. For cards, I recommend making them yourself or using a family picture and printing it and sending it out. I find most people just end up throwing out their cards. I know for my family I don't I keep them and scrapbook them every year. 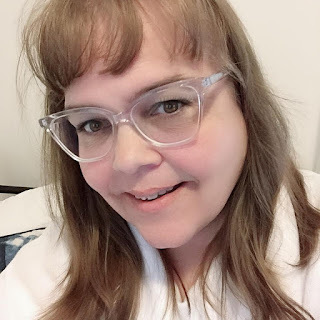 I know for me, I have entered contests online and ended up winning some amazing gifts for my family. So bonus all the way around. Also if budget is a problem you have to be very creative in what you do and can buy. Making your own gifts from things around the house you already have. Bath bombs, Epsom salts for the tub, hand lotion, personal care items you name it. I watch the sales like crazy to get what I do get on sale and not to mention combine coupons too! Save, save, save! I almost forgot we limit the number of gifts we give to people. We usually don't buy for the adults because well they really don't need anything and it is not in the budget. Secondly, each one of our children only gets 4 gifts, a want, need, something to read and something to wear. How do you have a frugal Christmas? What way do you save at Christmas time?